Dan Nosowitz of Fast Company recently reported that Universal Music Group (UMG) one of the four major labels, is reacting to declines in CD sales by slashing prices. With sales down 15.4% this year and digital sales nearing the volume of physical sales, revenues are plummeting for hard copy CD's. Retailers and consumers are looking for lower prices for the format, and the labels have responded slowly, only having droped pricing from $18 to $13 in 2003. Now, UMG is discounting the price of the dying CD format, to $6 and $10 for single-disc releases. The announcement is making the other labels concerned as they'll have to follow UMG's lead. 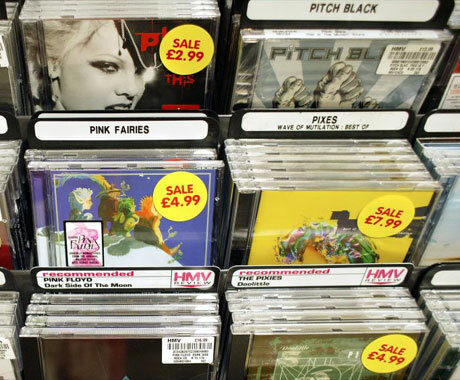 Given CDs have few years left anyway the long-term result of the discount is irrelevant. In certain respects CDs are superior to music purchased from digital retailers like iTunes, Zune, and Amazon. They come with album art and a booklet and rarely have DRM, and they're encoded in high-quality lossless WAV files that can then be ripped in any format. If the choice is between a $6 CD or a $9.99 iTunes album, the CD is unquestionably the superior choice, putting convenience aside. What is really at play here however is the drop in retail value for content. With Spotify and Pandora's technologies coming mainstream and hard copy content being sold at increasing discounts the bottom line is that the market is valuing content at a lower price. This has significant implications in the long run for labels. While this is an encouraging show of flexibility from rigid major labels, it's not going to change the basic fact that the move is just delaying the death of a format. The cut isn't going to make CDs: viable. it'll just make CDs somewhat more desirable for a couple of years until digital firmly buries physical.